Throughout time, non-Native designers have been influenced by the Native. Here is an example by Isaac Mizrahi from 1991. 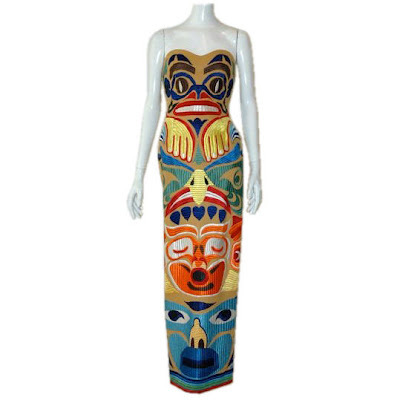 Influenced by Northwest Coast designs, the "Totem Pole" Dress is from Mizrahi's Fall 1991 collection and was worn by Naomi Campbell on the cover of TIME Magazine. Look closely - the totem pole motif is entirely embroidered.